Casalborsetti – Every summer the sea chokes under the mass of suntan lotions, but in autumn it returns to breathe, to show its immensity, and those who love it come back to the beach and experience the sea in solitude. In this way, while I was walking, all of a sudden I noticed a living painting by Friedrich, The Monk by the Sea. The beach is deserted. 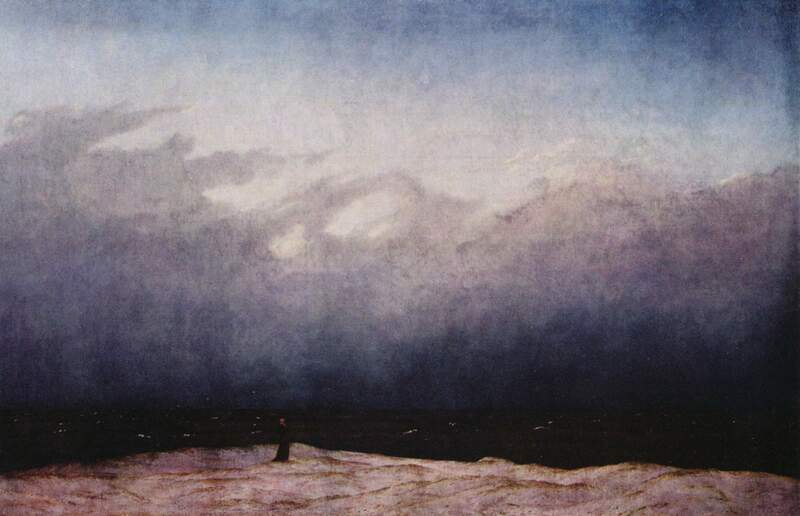 The lady, who resembles Friedrich's monk, does not look at the horizon but carefully observes the water's edge and occasionally bends to collect shells. – Excuse me Madam, are there still "fans" by chance? – My daughter loves them, she has an entire collection. – I collect them for my granddaughter. Here, look, bring it to your daughter. – Thank you very much, Madam, but then none is left for your granddaughter. – Oh, my granddaughter has a box full of them. Every day I come here and always bring some to her. You know, she lives in the hills and rarely comes to the sea. And yet she loves here. – Thank you, you are so kind. The lady keeps collecting Pecten shells, which kids call fans, the younger brothers of scallops or shell of Saint James. She fills my pockets with them, while talking of this and that, more specifically about the sea and how it is changing; about marinas that are popping up as mushrooms in Ravenna – Lilli Gruber's father bought one in this area and Casalborsetti's square is dedicated to him. Well, now it's time to go. – If you like, come back again. I live near the barrack. – With pleasure, Madam. If it happens, I will gladly come. And so we turn back, full of fans for our babies.